Its specific shape offers you incredible support in your moments of relaxation. Neck and back well laid, you can finally relax! It is an ideal gift for the rest of a young mother or a bedridden person. The Firm Relaxation and TV Pillow created by Dumas Paris is a registered model. It consists of a firm cushion that ensures a suitable back and an adjustable mini cushion according to its position to relieve the neck. The relaxation pillow is ideal for people who want to work on their bed or have a relaxing time. It comes with its 100% cotton cover. Composition The body of the firm relaxation cushion is filled with a mix of new duck feathers and polyether foam bars, 20kg / m3. The neck roll is filled in hollow siliconised polyester fiber. The outer shell of the cushion is 70% cotton, 30% polyester. the envelope of the neck cushion is in 65% cotton, 35% polyester. They are manufactured with a satin stitched finish, stitching currently having the best resistance. Tailor-made and embroidery This registered model can not be made to measure. Do you own a big house and lots of pillows? The accompanying pillowcase can be personalized from embroidery to your initials or room number. Tailored or embroidered pillows can not be taken back or exchanged. Cleaning proccess We recommend dry cleaning your relaxation and television pillow. Regularly ventilate the room where the bedding is located to avoid mites and allergens. 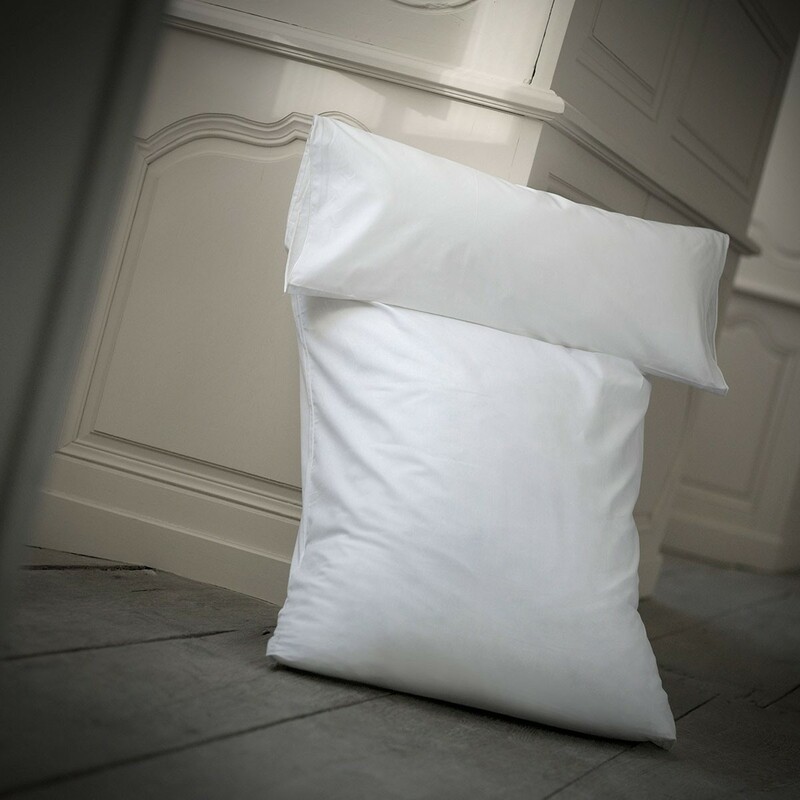 The relaxation and television pillow (registered model) bears the Haute Literie® Dumas Paris label, a guarantee of a luxury product manufactured with respect for ancestral know-how. This pillow is designed and manfactured in France, in Dumas Paris workshops located in Tonnerre in Burgundy.